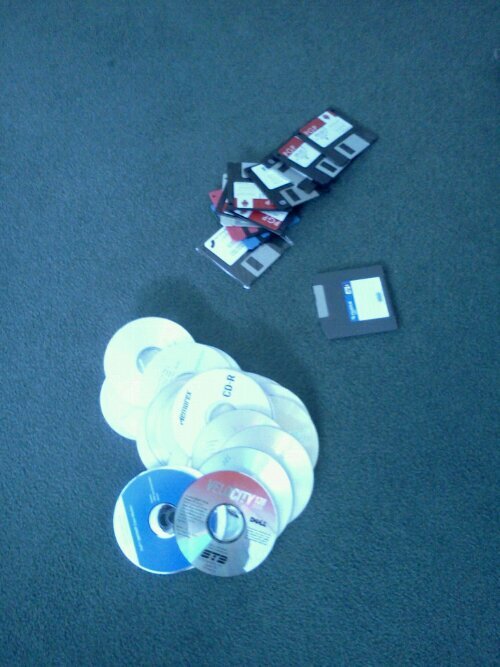 Floppies, zip disks, and CDs? Oh, my! Relics long trapped in my desk at work , being prepared for liberation.